about this time some of the tests they had run on her organs and other body functions were starting to come back. Most ok! Right about now I started to realize that her brain could have been deprived.. don't ask why but that was a last thought when it came to everything that could be wrong. Two years ago tonight I was sitting in a PICU, there was a waiting room full of people and phones ringing off the hook with people wanting to know what was going on. Tonight we are sitting on the couch alone. No phones are ringing, no one is knocking down the door, Makenzie is upstairs breathing on her own, sleeping peacefully in her pj's. The gentle woosh of her feeding pump and white noise sounding through the baby monitor. Today is a double edged sword. On one hand I am so happy and PROUD of my baby girl. I am SO thankful for what God has done in our lives in the past 2 years! We have been so blessed! 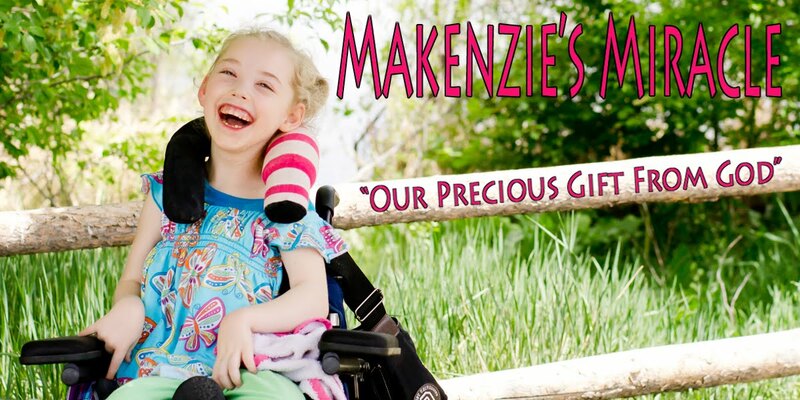 Makenzie has come so far! Evey day I go to get her out of bed and she looks AT me and SMILES! She loves to play peek-a-boo! She can hold her head up. She is using her hands more and more every day. She can pick a puzzle piece up and sometimes put it back in. She follows everything with her eyes. She is rolling better and pushing up with her arms! She is a MIRACLE!!! On the other hand I am sad as we have lost so much! I have lost who my little girl WAS. I have lost a lot of the last two years of my boy's life. I have lost time with my husband, I have lost most of my friends because of my busy life filled with doctors and therapy, (ok I have gained a lot of internet friends! You all mean more to me then you will ever know! ), WE have lost! Please don't take this as a pitty party. It isn't. It is the reality of what our family has gone through. It gets easier as time goes by. I feel very loved! I continue to thank all of you for your love and support! Thank You!